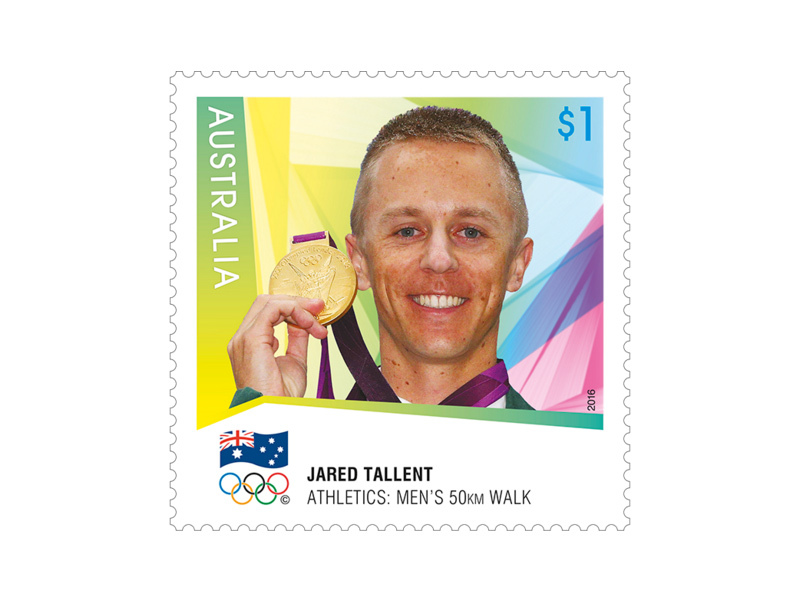 Australia Post is pleased to recognise Australian race walker Jared Tallent as he becomes the latest Australian athlete to feature on a gold medallist stamp, nearly four years after crossing the finish line. 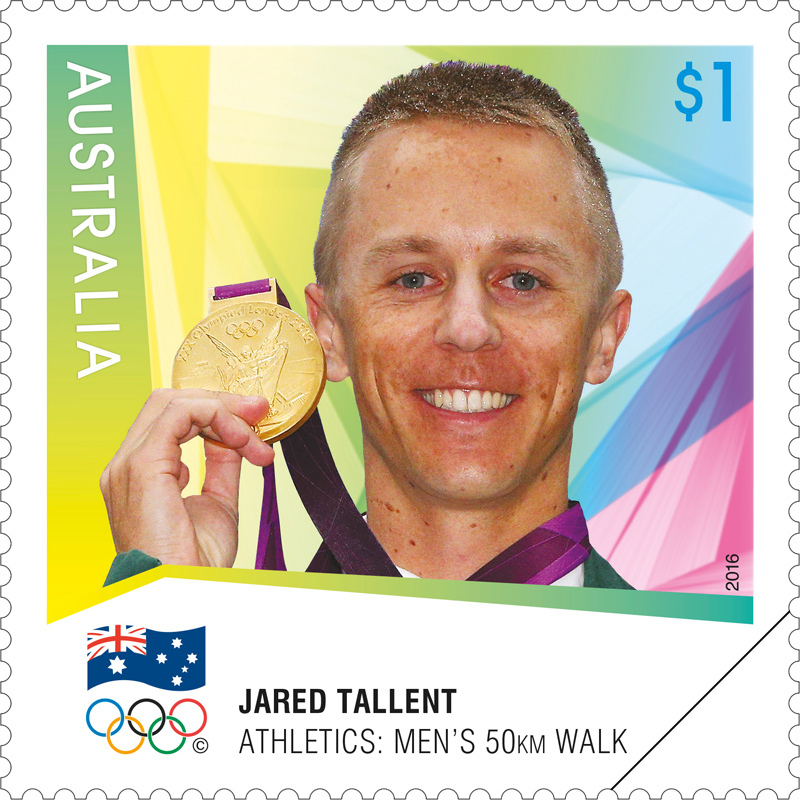 History was rewritten when earlier this year it was announced that the three-time Olympic gold medallist from Ballarat would be awarded gold for his 50km walk in the London 2012 Olympic Games following the disqualification of Russian, Sergey Kirdyapkin. 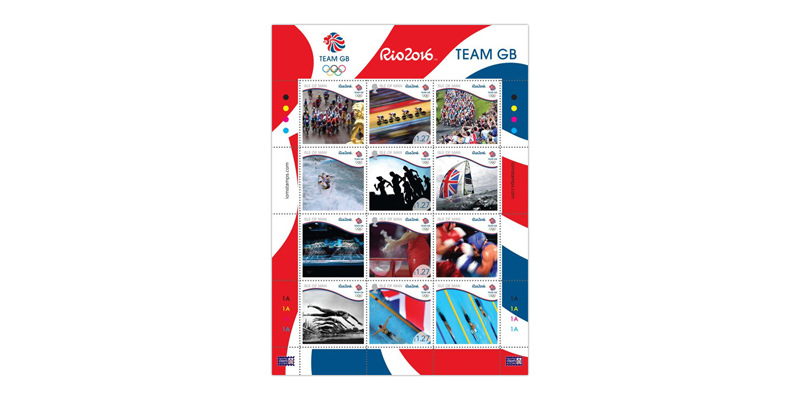 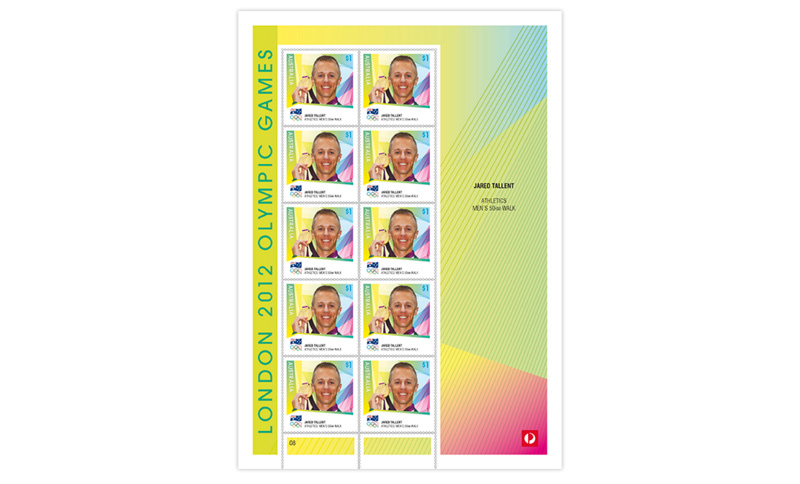 This sheetlet of stamps contains 10 gummed stamps featuring Jared Tallent after receiving his London 2012 Olympic Games Gold Medal on June 17 2016.